Mönchengladbach - After the high of finishing third last season, Borussia Mönchengladbach have been hauled back down to earth with a bang, losing their first three games of the season and propping up the table. In an exclusive interview with bundesliga.com, Brazilian striker Raffael attempts to explain what has gone wrong for the Foals this term and how Borussia can turn thins around, as well as what to expect when their UEFA Champions League campaign commences on 15 September. bundesliga.com: Raffael, Borussia have made their worst start to a Bundesliga season. What are the reasons for that? Raffael: Honestly? I wish I knew. Things just aren’t working for us. We played very badly in Dortmund and not much better against Mainz and Bremen, but I think we could have got something from these two games, if we’d taken our chances. Raffael: I don’t think so. We’re working as hard as ever in training and we’re really focused, and none of us can speak of any complacency or arrogance. I just think we need to continue working quietly and the success will return. At the end of the day, we still have a good team – that hasn’t changed. Raffael: That’s true. I’m a long way from top form, but I feel in good shape, had a good pre-season and things are working well in training. Why it’s not coming together on the pitch – that’s a question that we need to find an answer for as quickly as possible, ideally in our next game at home to Hamburg. bundesliga.com: How much is the team missing Max Kruse [who left in the summer for VfL Wolfsburg]? 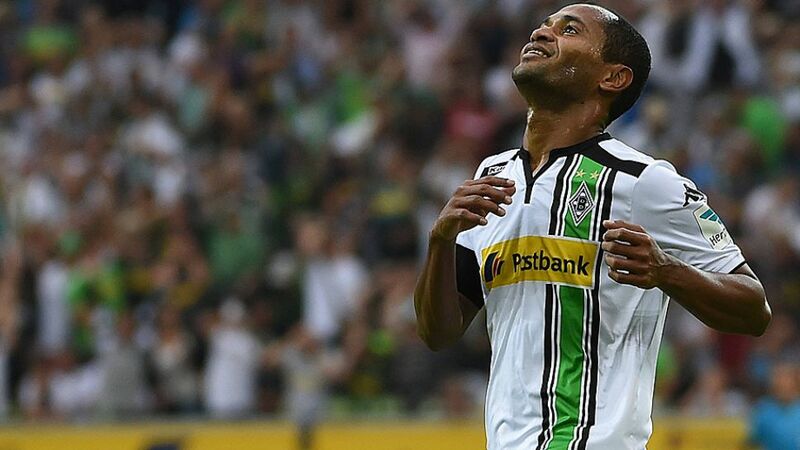 Raffael: Max and I had an almost telepathic understanding on the pitch. We always knew what the other was going to do and our combination play worked brilliantly. But it didn’t happen over night. So I think you just need time before all of that becomes second nature. Then I’m sure it’ll come together with the other players too. bundesliga.com: Can you do tricks like that? Raffael: No no, only players like Costa and Neymar can do that. With Costa, what impresses me the most is the speed at which he plays. My word, he’s unbelievable. bundesliga.com: In the Champions League, Gladbach will be facing players of that calibre. After the start you’ve had, are you still able to look forward to these games? Raffael: Absolutely, and why not? Every game is a new opportunity. I played in the Champions League with Kiew and I know these are the biggest games for a player, something you dream about. We’re up against three really strong teams in Sevilla, Man City and Juventus, but I’m most looking forward to facing Juve. When I was playing in Brazil, to me they were the epitome of a top European club.